To those who follow aviation history, Clarence “Kelly” Johnson is something of a legend. In case you are unfamiliar with the name, Johnson was a chief designer for Lockheed Martin who was the brains behind such legendary aircraft as the U2 and SR-71 Blackbird reconnaissance aircraft. These designs were so top secret that they were conceived and developed in a nebulous location known as the “Skunk Works” and eventually tested at Groom Lake in the Nevada desert, which is known more universally as Area 51. This place was so secret that supposedly the government refused to admit that it existed, and the tinfoil hat crowd believes to this day that alien technology is housed and tested there. Whether you buy into the alien part of the story or not, there’s no debate that “Kelly” Johnson’s contributions were massive, as evidenced by his designs such as the U2, which is still in use today, 60 odd years after its debut. If there is any parallel to “Kelly” Johnson and his “Skunk Works” today in solid state high-end audio amplifier design, it would have to be Nelson Pass, the genius working out of his home in Sea Ranch, California. Most folks here are familiar with Mr. Pass as founder of Pass Laboratories, but there’s also his less commercial endeavor known as First Watt. If Pass Labs is more akin to the major company (e.g., Lockheed Martin) that cranks out the high performance jet fighters that all the hot-shot guys fly, then First Watt (website) would more resemble the top-secret branch that puts out the occasional special purpose plane built to accomplish a very specific and highly classified mission like the U2. The pilots who fly such craft consider themselves a special breed indeed, much like those oddball audiophiles who lust after the rarefied First Watt amplifiers. First Watt products tend to fly under the radar (as opposed to above it, like the U2), as they are small, unassuming, low-power solid state class A designs. The most powerful one still in production, the J2, puts out a parsimonious 25 watts into eight-ohm loads. All First Watt amps look alike, thanks to the simple casework which Nelson apparently got in a one-time batch deal. Customers can request any color they want, as long as it’s either graphite black or brushed natural aluminum, depending on the model. Each stereo First Watt amp is also easily recognized by its pair of blue LEDs on the front panel, which looks out upon a dark room like a pair of tiny, menacing eyes. But don’t let the understated looks alone deceive; these amps are serious designs that mean business, and that’s one of the main reasons I love them. In his First Watt offerings, Mr. Pass is all about simplicity and elegance of design. From his correspondence with me, I’ve come to realize that he seems to take a personal challenge in designing with as few internal parts as possible. Simpler designs sound better — within certain constraints, he tells me. And the biggest constraint is “low power”, due mostly to Nelson’s desire to use as few output devices as possible per channel to achieve the desired results of delicate musicality, linearity, and clarity. To the end-user, the real question is whether one can get by on 25 watts or less. 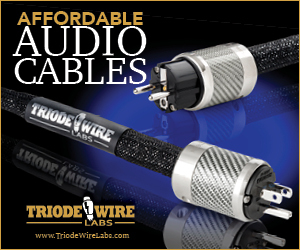 Of course, the answer to this question depends on any number of variables, though common audiophile logic and marketing combine to tell us that low power is a bad idea in most cases. My own experience tends to argue otherwise. Here’s a revelation I had a few years ago. I have an old Kenwood integrated amp from the golden audio days of the 1970s that is equipped with power output meters. Remember those and how hypnotically cool they were? Mine are calibrated in instantaneous watts of output power. When I hooked the amp up to a pair of speakers of normal impedance and sensitivity (of, say high 80s or so) and watched the meters dance, I was somewhat astounded to see that they never went above one watt of power per channel at the normal volumes at which I listen. 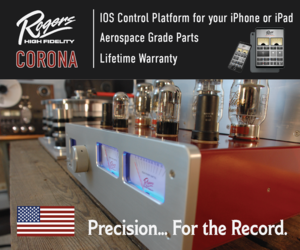 I got to thinking … Why buy a 400 watt per channel amp when I was only using that first watt? Yes, I know the counter argument stating that loud leading-edge transients need lots of power, but that’s a very small percentage of my total listening time. And I’ll be honest: big, powerful amps have their place in my home too, especially when driving more demanding speakers like my large ATC SCM 100 monitors, which I’ll admit to playing at piss-the-neighbors-off volumes on occasion. So yeah, I’ve got some loud transients for you, but only once in a while. While I probably haven’t convinced you that we can get a lot accomplished sound-wise with very few watts, I’m hoping your at least open to the idea, so let’s talk more specifically about Nelson Pass’ newest First Watt design, the SIT-3 stereo amplifier. 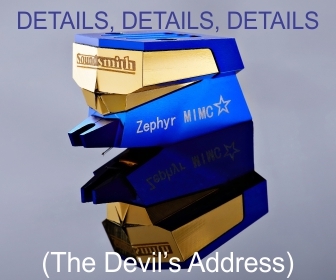 Before receiving this amp for review, I received some correspondence that described in fairly simple terms its unique design. First and foremost, and as the amp’s name suggests, a special type of transistor called the “static induction transistor” (or SIT for short; also known as a VFET) is employed. Nelson also used these as the sole single-ended output devices in his now discontinued First Watt SIT-1 and SIT-2 models. The SIT is a special and unique output device, as it was designed specifically for audio reproduction to capitalize on its characteristic triode-like behavior. Unfortunately, the company that manufactured the one and only custom run of SITs for First Watt went out of business, leaving these little gems now officially “un-obtainium.” Nelson recounted how he fortunately held back enough SITs for possible maintenance needs of existing amp units, but then decided that he had a sufficient supply, after all, to offer up just one more design using it. And that’s the SIT-3 I have right here. So, if you’ve always had a hankering for a SIT-based amplifier, this will probably be your last opportunity to jump on a new unit. The actual design of the amplifier is unique and somewhat interesting. From Nelson, I learned that the SIT-3 is a zero-feedback design utilizing the SIT not as an independent output device (as was done with the SIT-1/ SIT-2), but rather as part of an elegant and carefully balanced push-pull circuit in which the SIT acts as a depletion device, while a carefully matched MOSFET serves as an enhancement device in a voltage follower configuration. Voltage followers are interesting in that they provide large current gain with a voltage gain of unity. In other words, a classic voltage follower sports a very low output impedance, thus effectively providing whatever current is required to drive the downstream load. Of course, voltage is important to proper amplifier operation as well, so that type of gain is provided by an autotransformer at the input, buffered by a pair of JFETs, which gives 11 dB of voltage gain per channel. What we seem to have then is something of a hybrid design that lies somewhere between the SIT-1 or SIT-2 and Nelson’s other First Watt designs like the F7. Sonic advantages you ask? Well, compared to the SIT-1/SIT-2, the SIT-3 is said to offer up greater linearity, less distortion, and a larger damping factor, all at a power roughly twice what the original SIT designs could muster. 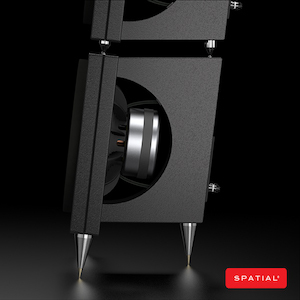 These factors together point toward a more accessible design that should enjoy a greater audience of audio enthusiasts by curbing some of the limitations of the earlier SIT designs while still providing a unique listening experience based around the SIT device itself. The icing on the cake? The SIT-3 is offered at a lower price than either of its SIT forebears. My system setup remained pretty constant during my evaluation of the SIT-3: Bricasti M1 DAC fed by my Sound Devices USBPre2 interface serving as a USB to S/PDIF converter, Linear Tube Audio MicroZOTL 2.0 preamp, and several sets of speakers, namely Omega Super Alnico Monitors, Zu Audio Omen Dirty Weekends, and my reference ATC SCM 100 passive studio monitors. On hand for comparison purposes were the J2 and F7 amps by First Watt, as well as Linear Tube Audio’s ZOTL 10 Mk. 2 OTL amplifier. Unlike the larger, more powerful Pass Labs amplifiers I’ve had in for review, I found the SIT-3 to require much less time toward break-in. Perhaps much of this process was done by Nelson and the folks at Pass Labs during initial evaluation and testing, or maybe the amp just doesn’t require much burning-in due to its simplicity. Either way, it sounded decent out of the box and got continually better over the next couple of weeks of near constant use. To best put the sound of the SIT-3 in context, it might be good to re-visit what I remember about listening to its older sibling, the SIT-1, which I spent time with as part of a review of several First Watt amps published a couple of years ago. 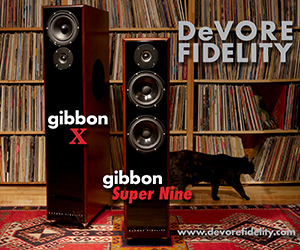 What I best recall about the SIT-1 (which actually came as a set of monoblock amps) was its smooth, warm, and dimensional character. Of all the Class A/Class AB amplifiers I have heard, this one sounded the most like a good vacuum tube triode amplifier from top to bottom. There was a wonderful sense of layering to the sound, and the notes had real body and textural heft to them. The SIT-1 also served me well as a bit of a lion tamer: I used it to flesh out the lean, forward upper midrange and rein in the somewhat hot treble of the Zu Audio Druid Mk. 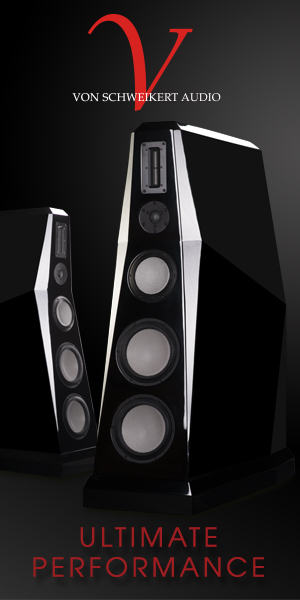 V speakers that I reviewed at about the same time. I thought I got that combination to really sound quite nice. On the downside, I found the bass performance of the SIT-1 to be a bit on the soft, less well-defined side. The amp also put out only 10 watts per side, so I found that it ran out of gas at higher volumes when driving some speakers, most notably the ATC SCM 19 monitors I had at that time. Tonally, though, it was mighty hard to beat the SIT-1 while remaining in the solid state world. I have a good audio buddy who hears pretty much every amp that comes through my listening room, and I still believe that he thinks that SIT-1 was the best sounding amp I’ve had here. As I stated a bit earlier, the SIT-3 design-wise is a bit of a hybrid amp, and that’s how it sounds to me. Retained is much of the lovely, blooming midrange I recall from the SIT-1, but with more control, extension, and presence in the bottom end. “Less woolly in the woofer,” if you prefer. The highs seem well enough extended, sweet, and clear without becoming splashy, even through my ATC SCM 100 speakers, which have exceptionally revealing (though not overly hot) tweeters. If there are issues in the treble, the SCM 100s will let you know. The sound signature of the SIT-3 remained remarkably constant across all of the aforementioned speakers I drove with it. As the saying goes, “it is what it is”, and it hides nothing under the bushel basket. 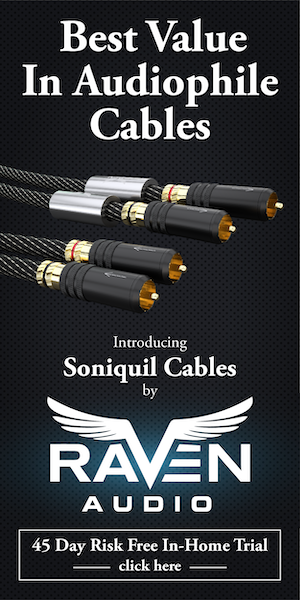 It doesn’t quail to a challenge or become easily intimidated, as it performed like a champ with a $10,000 DAC on one end and $24,000 speakers on the other. The SIT-3 also managed to make my budget-minded $1000 Zu Omen Dirty Weekenders sound fantastic. To me, the SIT-3 is about as pretty sounding an amp as one could find without making the move into total tube domain. As I write these words, I’m exploring Tidal by way of Roon, listening to Andy Sheppard and the Espen Eriksen Trio’s album Perfectly Unhappy (Tidal, 44.1 kHz streaming file) for the first time via the SIT-3 driving my ATC SCM 100s, and all I can say is “Wow!” The saxophone is big, fat, and dead-center present in the space between the big monitor speakers while the piano lays out some of the more realistic timbres that I’ve enjoyed in a while. Sure, if I cranked the volume of this amp/speaker combination, I’m certain things would probably go downhill quickly, as the SIT-3’s 18 watts per channel can only accomplish so much with the huge magnets behind the ATC’s 12-inch woofers. Certainly, I’ve heard better bass extension and control from these speakers, but that’s what the big Pass Labs X250.8 amp I keep around here does for me when I’m in that kind of mood. As an aside, I’ve always been quite pleased with how well the First Watt amps behave with the various ATC models I’ve used them with, as these speakers have a well-known reputation for demanding lots of quality power. 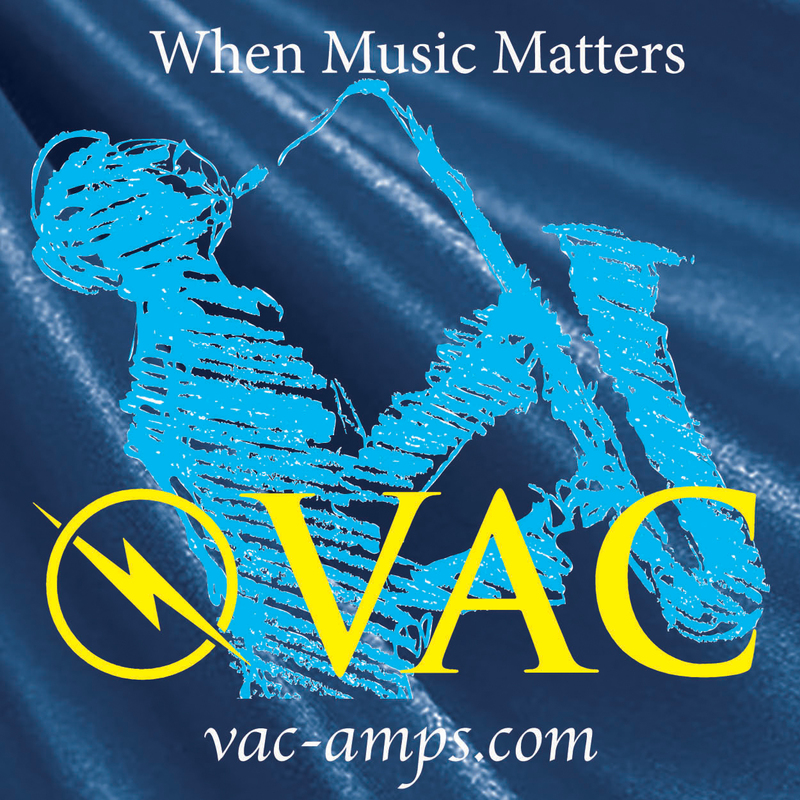 I posed this question to Nelson Pass recently, and he believes that the answer lies in a favorable match between the damping factor of his amps and the speakers’ drivers. Again, my impressions demonstrate that when used within their intended design constraints, the diminutive First Watt amps are capable of serving up some real magic, and in some unexpected ways. If in doubt, I say throw conventional audiophile logic and hearsay out the window and try things for yourself (of course, within the normal realm of reason and safety); you never know what may happen. I can imagine that a lot of folks besides myself would characterize the SIT-3 as sounding somewhat “tubey”. I feel that this is a fairly good description, especially for the midrange. This observation makes sense, too, when we see that some sweetening in the form of second harmonic distortion was intentionally left in place, whereas other modes of distortion have been minimized. So then, how “tubey” does it really sound? 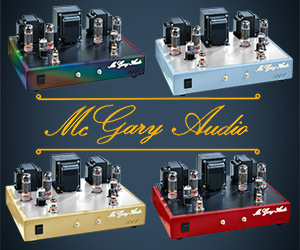 Here, we need a reference of sorts, and I’m fortunate enough to have in for evaluation a modern, well-designed push-pull vacuum tube amp, the McGary SA 30 (review to follow). This amp serves to remind me what real vacuum tube sound is like, and it’s pretty much how I recall such sound to be all about from my earlier days in audio when I was exposed to lots of these types of amps (shout-out here to Dennis Had and Cary Audio Design in its salad days). It’s a lovely sound, and something that solid state in any form cannot truly emulate, at least to my ears. So yes, the SIT-3 approaches tube-like sound, but doesn’t quite get all the way there. And that’s just fine, as I don’t think Nelson Pass ever had the goal of emulating classic “tube” sound in any of his designs. What the SIT-3 gives up a little bit of is the inner glow, rounded edges, and ultimate dimensionality the classic tube folks really go for. What the little First Watt amp gives back in return is more detail, better transient attack, and overall precision. I like to think of it as a “best of both worlds” type of scenario. Perhaps the best way to describe the comparative performance and inner sonic characteristics of the SIT-3 is to do some head-to-head comparisons against some other similar amplifiers I have in-house. 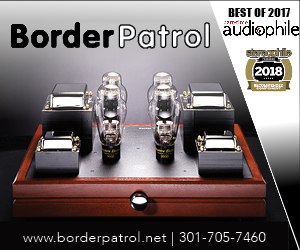 These include a couple of the SIT-3’s elder siblings in the First Watt family, namely the J2 and the F7, as well as the recently reviewed Linear Tube Audio ZOTL 10 Mk. 2 for a bit of tube action. 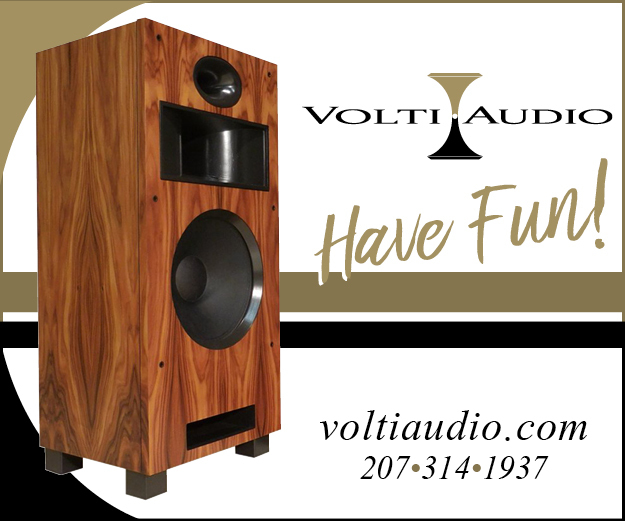 To keep the playing field evened up, I decided to use my Zu Audio Dirty Weekend speakers throughout, as they offer up an easy 16-ohm load, lots of sensitivity (97 dB), and enough resolution to hear differences between the amps. I’ll start with comparisons among the family of First Watt products. My initial thoughts based on long-term listening to all of these amps in different systems and driving different speakers is that they have a somewhat common “flavor” with each amp then contributing its own nuances. It’s kind of like describing the differences between Classic Coke, Cherry Coke, and Vanilla Coke. You get the underlying Coke flavor in each, but with a dash of certain specific flavors on top. Each amp has a different set of design characteristics, but then again, each comes from the hand of the same designer seeking differing means of achieving an ultimate sonic goal. Firstly, it was immediately apparent that the “powerhouse” J2 has more gain than the SIT-3 based on the position of the preamp’s volume control. After spending a good day listening to the J2, that amp seemed to me to be detailed, neutral, and a bit harmonically lean compared to the SIT-3. It’s not that the J2 didn’t get the music tonally or harmonically correct, it’s just that the SIT-3 emphasized these characteristics more, providing a richer, more illuminated tone in general. The J2 seemed a bit faster as well, nimbly catching the transients of notes while never hanging on too long. The SIT-3 has a lovely sense of liquidity with just enough viscosity to never be in an excessive hurry. If a note were truly beautiful, the SIT-3 didn’t mind hanging on to it for those last few micro-moments as it decayed lazily away to nothingness. These differences were laid bare while listening to Charles Lloyd’s live album “Sangam” (ECM, 44.1 kHz file streamed via Tidal). This album has a definite Indian/Eastern flavor rife with dynamic percussive bursts, interesting chant-like vocal inflections, and lots of lovely woodwind playing. For example, in the cut “Guman” we hear Lloyd playing flute and singing in a mystical chanting style, which lets me really home in on the harmonic textures of the recording. Here, I was exceptionally impressed with how well the SIT-3 fleshed out the male voice, providing it with realistic body, weight and tonal color. The complex harmonic richness of the flute was deftly rendered as well. To the J2’s credit, that amp had an easier time handling and conveying the sharp dynamic contrasts offered up by the percussion while also providing a sense of transient detail that allowed me to better hear that millisecond contact of flesh with flesh as the hand struck the drum skin. Another interesting difference I noted between the two amps is that while the J2 seemed to probe a bit deeper into the bass, the SIT-3 appeared to be tighter and more controlled in that region. I checked the damping factors for the two amps, and indeed the SIT-3 has a larger value which may well explain what I was hearing. Some full disclosure here: I make no bones about admitting that the 20 watt per channel F7 is one of my all-time favorite amplifiers. It’s a natural go-to for pretty much all of the speakers I keep on hand. I’ve waxed poetically before about how well it has driven my various ATC speakers in spite of its relatively low power output. It’s also the unabashed bargain in the First Watt line. Squared off against the SIT-3, the F7 held its own quite nicely. This comparison was much less of a yin vs. yang situation than one of closely related blood brothers. There’s no denying that these two amps share similar DNA. I could say that the F7 lies tonally somewhere between the J2 and the SIT-3, but I’d have to admit that it positions itself somewhat closer to the SIT-3 than to the J2. Present in the F7’s sonic signature is much of that same fleshed out, musky, realistic, you-are-there midrange that is offered up by the SIT-3. Perhaps the F7 is a tad more angular and responsive, paying a bit more attention to leading edge transients while exhibiting a bit less tonal opulence in the middle part of the spectrum. It’s a close call though, and differences may open up more with speakers more revealing than the Zu Omen Dirty Weekends. Bass on the F7 goes nicely deep, and with good definition thanks to its large damping factor (>100). Even so, there’s something uncannily organic about the SIT-3’s bass that perhaps the F7 just misses by a hair. Listening to both Charles Lloyd’s Sangam and Arvo Part’s classic album Tabula Rasa (ECM, 44.1 kHz file streamed via Tidal) seemed to indicate that the SIT-3 was ever more effective at discerning a deeply layered front-to-back soundstage with perhaps a bit more dimension and body to the performers within that stage, whereas the F7 seemed a bit “flatter” in comparison. 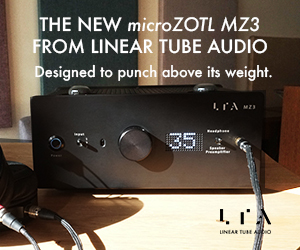 Anyone who happened to read my recent review of the Linear Tube Audio ZOTL 10 Mk. 2 output transformer-less amplifier will see that I consider it to be something of a reference for providing fast, uncluttered, and harmonically true sound with minimal audible distortion. The fact that the amp’s sound is so truthful to the recording might actually leave some audiophile types somewhat nonplussed. Even though the ZOTL 10 employs lots of vacuum tubes, it really doesn’t sound like a tube amp at all. It doesn’t sound like solid state either; it just sounds uniquely like itself, where “itself” approaches stark, uncolored reality. 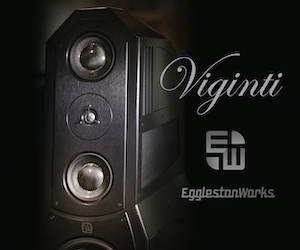 This is an amplifier that I feel folks will either love or hate. Indeed, the ZOTL amp was more “in your face” sounding than the SIT-3, as in more up-front and harmonically lean. The soundstage seemed more pushed forward and perhaps a bit flatter than the SIT-3’s more laid back and three-dimensional presentation. 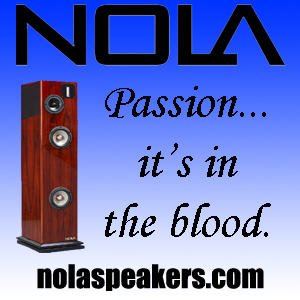 The clarity of the LTA amp is breathtaking thanks to that amp’s low noise floor and lack to total distortion. 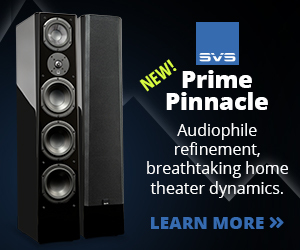 However, the SIT-3’s ability to retrieve tiny musical details was not far behind, while offering up a more tonally rich and dense aural experience. Interestingly, the piano at the beginning of the cut “Guman” from Charles Lloyd’s album Sangam sounded veiled and oddly distorted through the ZOTL amp, but much clearer and more natural via the SIT-3. This seems to be an oddity I can’t quite explain, but thought worth mentioning. Perhaps a vagary in the recording that the LTA amp picked up that the SIT-3 happily ignored? Who knows… In short, I found the ZOTL amp to be considerably closer to the First Watt J2 in overall flavor, while the SIT-3 and F7 seemed to find more common ground with each other. OK, Will the Real SIT-3 Please Stand Up? Is the First Watt SIT-3 the right amp for you? I’ll let Nelson Pass answer that question via his First Watt website in response to the question “Do I want one of these?”. 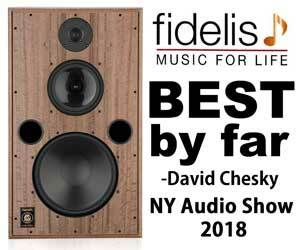 His response: “Perhaps you don’t…These amplifiers are all out of the mainstream, reflecting quality in simplicity and intrinsic linearity, often with little regard for the usual performance specifications. 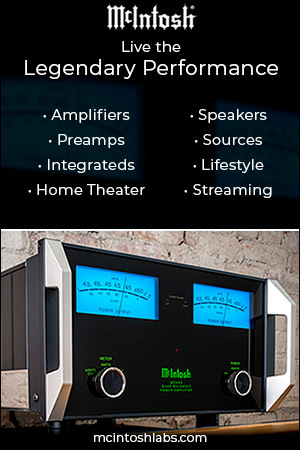 I presume a subset of audiophiles will appreciate them.” Like all low-powered amps, the SIT-3 will have its operational limitations, and it will be up to the end-user to determine if the amp will play nice in his/her system within those limitations. My findings are that if you can find that sweet spot for an amp such as this, you may well be rewarded many times over. I’ve come away from this reviewing experience with the distinct impression that Nelson Pass and First Watt have upped their game again by designing yet another eminently musical and enjoyable amplifier. In the right system, I believe the new SIT-3 can provide a nearly perfect balance of open, dimensional, enjoyable harmonic beauty coupled with sufficient extension and control to keep matters well in hand at the frequency extremes. I was particularly impressed with the satisfyingly robust sound I got from the SIT-3 driving my large (and expensive) ATC SCM 100 passive monitors while also coaxing superb performance from my budget-minded Zu speakers. First Watt has had a long history of providing a very favorable sound quality to price ratio, which I have found to be seemingly ever more favorable with each subsequent design Nelson Pass puts out. There must be something in the secret sauce over there at Sea Ranch. Or … maybe Nelson is getting a little bit of help from his “friends”. Has anyone thought to check the backyard for debris from that crashed flying saucer? If only you could get an XA-25 to compare. Ha, been working on that for awhile… Hope to get one in here one day soon. As a super-happy J2 / Omega owner, I would have been interested to read how the SIT-3 performs with the Omegas. mrvco: The SIT-3 was lovely with my Omega SAMs; very organic and dimensional. However, there’s something magical about the SAMs when driven by my Decware UFO and an old Cary Audio SLP-70 preamp (highly modded…). That combo is a favorite for low level late night sessions. John- I love the Kelly Johnson analogy. A real hero of mine!